MERJE co-hosted a networking event with the Call Centre Management Association (CCMA) on 31st January called ‘Attracting & Retaining Top Contact Centre Talent’. 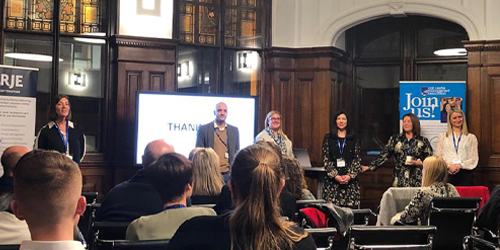 The early-evening event took place in Chamber Space in the Greater Manchester Chamber of Commerce and covered recruitment and retention of senior and volume Contact and Call Centre staff, as well as ways to ensure nurturing of talent and wellbeing in the workplace. The agenda kicked off with BGL Group presenting to attendees on how they manage their award-winning Call Centres, with a specific focus on making the experience empowering for the teams and developing brand ambassadors. This was followed by MERJE’s Alex Kelly discussing practical tips on how to effectively plan recruitment of senior management, as well as warning against using the dreaded word ‘desirable’ in a job spec. 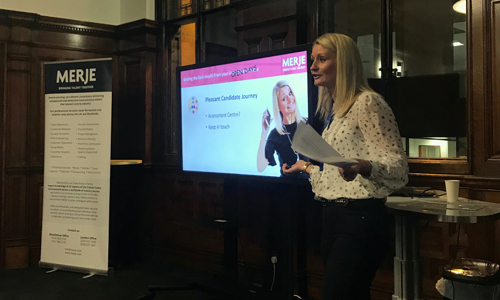 Sally Cordwell from MERJE Front-Line Talent was also on hand to present about volume recruitment of entry-level staff, with a focus on optimising the interview and assessment process to make it stand out to Candidates. 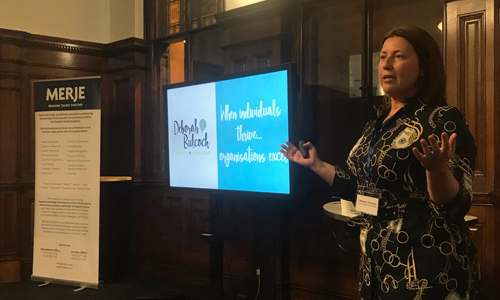 The talks ended with Deborah Bulcock discussing wellbeing in the workplace and how stress can be reduced to improve staff health and productivity. The evening concluded with networking for the attendees and a few drinks and canapés, where the speakers were able to answer questions and guests could discuss the important subjects covered in the evening. Thank you to all attendees and speakers. We look forward to taking part in more events like this in the future.